Haas F1 Team Principal Gunther Steiner seen at the Circuit of The Americas in Austin, Texas on Thursday, Oct. 22. Being an F1 fan in the United States has become progressively easier over the past several years, although it still has a long ways to go. Its comeback began in 2012 when the U.S. gained its first purpose-built Formula One circuit in the form of Circuit of The Americas in Austin, Texas. The series has returned to the racetrack each year since. This weekend, the United States Grand Prix will see the first U.S. citizen to race on home soil in an F1 race since Scott Speed at Indianapolis in 2007. Alexander Rossi is waving the Stars and Stripes on his rear wing this weekend as the California-native looks to make it three for three in the Manor F1 intra-team battle, as Rossi has outraced his more experienced British teammate Will Stevens in his first two outings. However, the 2016 season will see a new team on the grid next to Manor in form of the Haas F1 Team, a Ferrari-customer team based out of North Carolina. It will be the first U.S.-led Formula One team in 30 years. Though Haas F1 will start its F1 career from the far end of the garage, its team’s founder and chairman, Gene Haas, doesn’t believe they’ll stay there for too long. “In four months, we’ll be testing our car in Barcelona. In five months, we’ll be on the grid in Australia. A year from now, we’ll be racing in our home country, hopefully having scored some points and proving that we can hold our own with the established teams of Formula One,” stated Haas. Haas has found plenty of experience already in motor racing, with Kevin Harvick driving one of his cars to the championship just last year in the NASCAR Sprint Cup Series. Haas has also found success with his CNC machine tool company Haas Automation, which has grown into a billion-dollar company since it’s founding in 1983. He is hoping that his venture into F1 will help his company gain recognition internationally. Having built up his NASCAR team, his company and Windshear – one of the most advanced wind tunnels in the world – the 62 year old looks to have his team’s full support heading into their new venture. 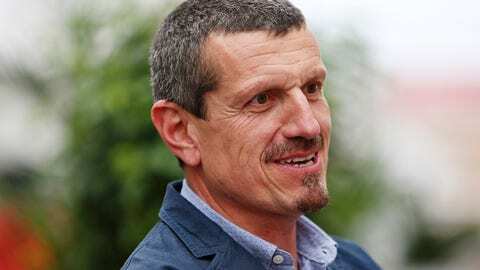 “I think when Gene decided to do this, he wanted to be efficient,” said Guenther Steiner, team principal, Haas F1 Team. “He has done all these projects, but never just by buying it. He’s very determined that he’s going to get this done. 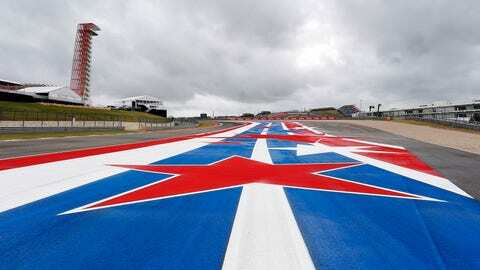 It remains to be seen how big F1 can become in America and if CoTA, Rossi and Haas F1 can help increase its chances of success.